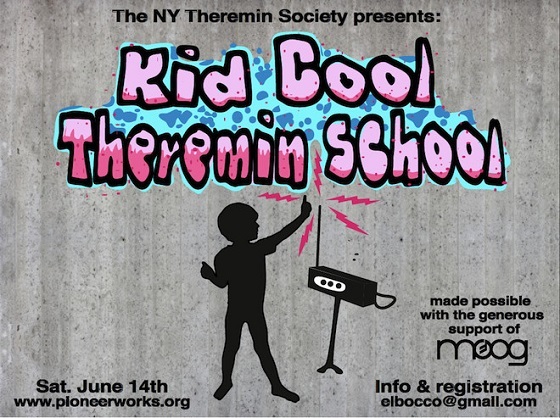 Theremin greats Dorit Chrysler and Rob Schwimmer will be hosting the NY Theremin Society's first ever theremin workshop for children on Saturday, June 14th. What better way to spend Flag Day? Kids will learn how their 5 senses relate to playing the theremin and the basics of playing. 2 classes will be held; one for 4-6 year olds and another for kids 7 and older. The cost is $30 per participant. Parents may attend with kids for free. A few spots are still available, so hurry on over to the event website for more information!